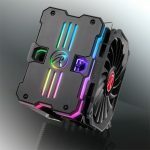 Raijintek has just announced the release of it’s latest CPU cooler, the MYA RBW which features direct-touch heatpipes and RGB lighting capabilities. 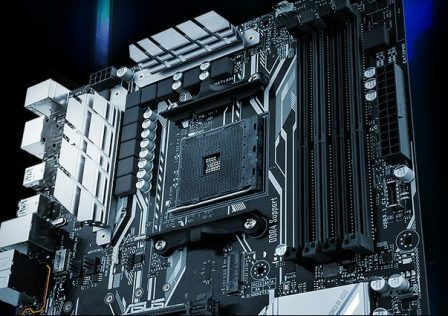 The CPU cooler was originally introduced at Computex 2018 earlier this year. 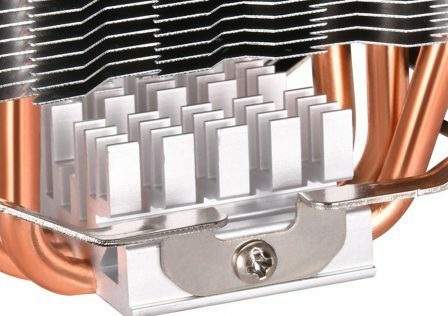 The cooler features a stacked aluminum fin design with six copper heatpipes in total. 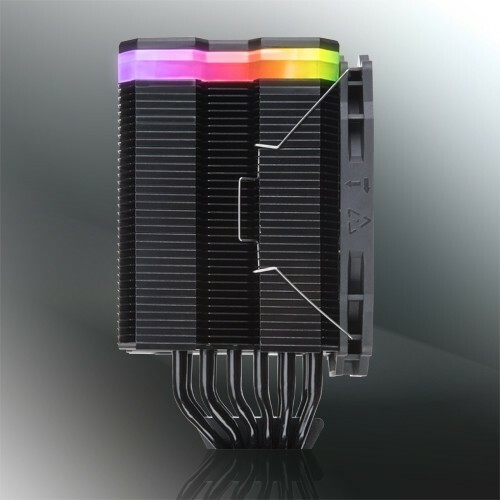 The fins and heatpipes are nickel plated to provide a premium look while reducing corrosion and tarnishing. 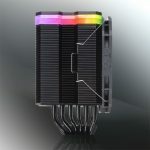 The fins are ridged which feature a ridged design which help increase surface area. 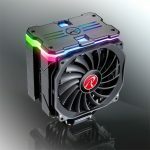 RGB lighting is included in the cooler itself as well as the fan. Overall, the cooler weighs in at 925g including the fan. 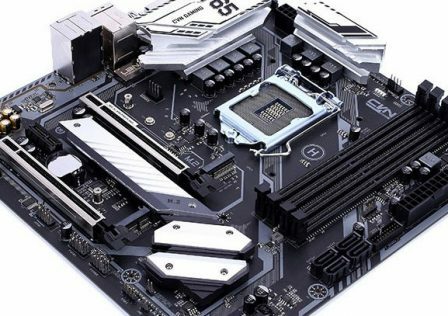 Modern CPU sockets are supported such as Intel LGA2066, LGA1151, and AMD AM4. 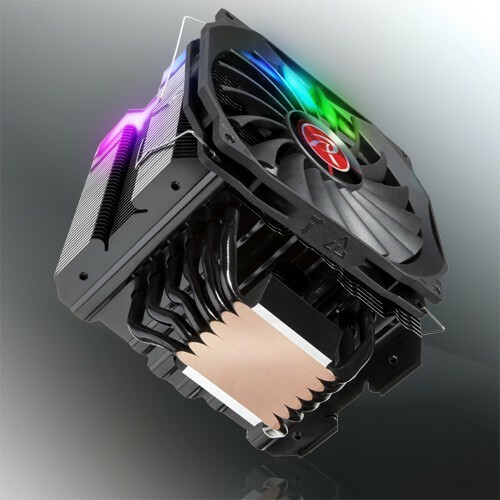 The fan is rated for speeds from 200 to 1,400 RPM which is rated at a maximum 41.71 CFM of air flow. Silent operation is ensured as the fan will generate a maximum of 28dBA. The cooler weighs about 925 g, including the fan. 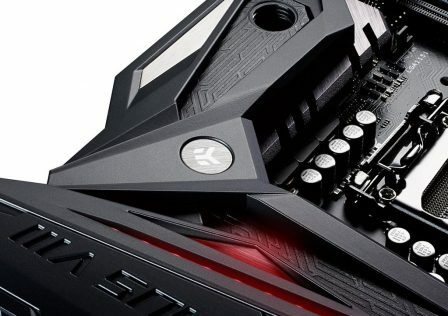 Pricing at this point has not been revealed. 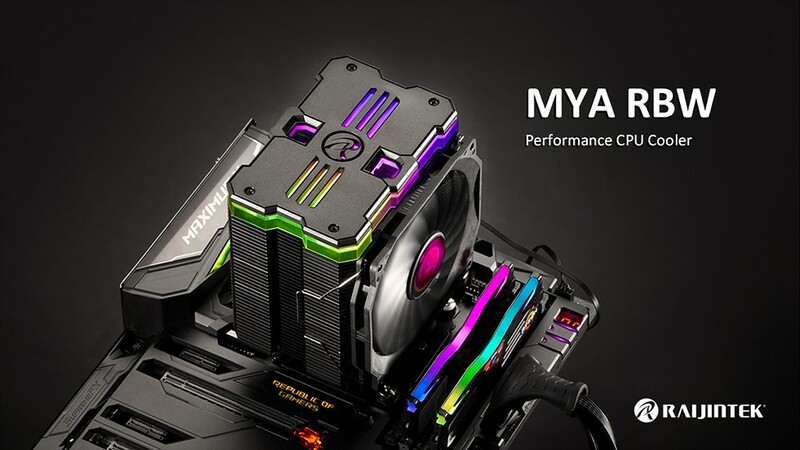 More product information can be found on Raijintek’s product page for the MYA RBW CPU Cooler.